Is a Nutritional Ketosis Diet Safe and Effective? You are here: Home / Blog / Is a Nutritional Ketosis Diet Safe and Effective? Diets come in a lot of different forms. Often the emphasis is on decreasing your calorie intake, but even then, there is a range of different ways that this is achieved. Counting calories is one example, as are low-fat diets and low-carb diets. Other approaches are more complex. In some cases, this might involve using food intake to make the body behave in a certain way. A nutritional ketosis diet is one example of this and today we’re going to look at this type of diet. Before we get started though, I want to note that this type of diet isn’t as complex as it first seems and many people do follow it successfully. The most complicated part of a nutritional ketosis diet is the science behind it. Basically, a ketosis diet is unusual, because it aims to put your body in a specific metabolic state, known as ketosis. When your body is in ketosis the liver acts in a different way to normal and produces molecules that are called ketone bodies. The site Perfect Keto discusses these, along with their implications for the body. The term ketone bodies is typically used interchangeably with ketones, although other people argue that ketone bodies are a specific subset of ketones that have specific implications for dieting. The three ketone bodies that are significant in a nutritional ketone diet are acetoacetic acid, acetone and beta-hydrobutyric acid (1). The basic chemical structure of the substances is shown below. Technically speaking, the first two of these are ketones, while the third isn’t, it is considered a carboxylic acid (2). However, all three are considered ketone bodies, and the difference isn’t relevant to this discussion. Ketosis occurs when the level of blood glucose is below a certain level. The human body uses glucose to generate a structure known as ATP, which is also known as the energy currency of the body. Without going into too much detail, ATP is necessary for the body to have the energy needed to do any chemical reaction. Basically, without ATP you, and I, would die. When the body doesn’t have enough glucose to make ATP the traditional way, it has to find an alternative way of doing this, and that is where ketone bodies come in. As a person starts a diet that causes low blood sugar, tissues within the body start to rely on ketone bodies for their energy. One of the most critical reactions in the human body is the Citric Acid cycle, which is also known as the Krebs cycle or the tricarboxylic acid (TCA) cycle (3). The significance of this cycle is that it produces a compound known as NADH, which is then involved in a connected pathway that produces ATP. As such, these processes create the ATP that the human body needs to survive. To achieve ATP production, the Citric Acid cycle needs energy to be inputted. This is why people eat food to start off with, to give their bodies the energy needed for the many chemical reactions that are important for survival. The main source of energy for the Citric Acid cycle is glucose, but the cycle is able to use ketone bodies as an alternative source of energy (4). This actually makes sense, because if the body solely relied on glucose for energy, it would be in big trouble, particularly when people don’t have access to food for a while. So far, ketosis doesn’t seem to have a lot of advantages, but the significance of a ketosis diet comes from the way that ketone bodies are produced. Ketone bodies are produced from fat and this process is what gives the person the ability to survive off the fat on their bodies alone if they have no other choice (please note – attempting to survive without eating is not a viable diet method and is seriously unsafe). When a person is in the metabolic state of ketosis, their body has shifted away from using glucose for energy and towards burning fat (5,6). At the same time, the diet also acts to lower levels of insulin, which can also be beneficial for health (7,8). This does take a little while for the body to get used to, normally about two weeks. However, once the body is in this mode, energy is obtained from fat in the diet and fat in the body. Because of this, the level of fat burning in a ketogenic diet tends to be much higher than a normal diet, even when the amount of calories in the diet is about the same. This means that a ketogenic diet can effectively help people to lose weight and there is significant research supporting this role (9,10,11,12). In fact, there are some indications that a ketosis diet might help with some health conditions, such as having an impact on the risk factors for cardiovascular disease, type 2 diabetes (not type 1 or insulin-dependent type 2), epilepsy and even cancer (13,14). Ketosis diets have also been associated with the treatment of epilepsy and improved neurological outcomes, which may be connected to some elements of cellular energetics (15). These factors help to account for how popular ketosis diets have become, and this type of a diet is an approach that can help to improve overall health. In fact, there have also been suggestions that this type of diet might play a therapeutic role (16). Much of the controversy that surrounds this type of diet is because it is contrary to many of the standard assumptions and recommendations for diet. For example, the American Heart Association and other groups have consistently recommended limiting the amount of fat and cholesterol in the diet, even though the evidence for this approach is nowhere near as strong as it seems (17,18). A ketosis diet goes against the traditional idea that we should limit fats in the diet and instead focuses on limiting carbohydrates while consuming a higher level of fats than you would expect. Basically, it involves a switch from carbohydrates as the main source of calories to fat. In modern society, there is a growing recognition that this offers a significantly healthier approach to losing weight than focusing on carbohydrates for energy. For example, Dr. Axe talks about many of the benefits of a keto diet, while offering more details about the processes involved. Think of it this way - many of the carbohydrates that are prevalent in a modern diet are heavily processed and strongly artificial in nature. In many cases, we don’t even fully know their impacts on human health in the long term. In contrast, a ketosis diet involves a much stronger focus on real and whole foods, which has the potential to be much better for health. By its very nature, a ketosis diet is a low carb diet. The chemistry behind ketosis means that you couldn’t reach ketosis any other way. But, this doesn’t mean that all low carb diets are ketogenic. In fact, you can follow a low carb diet without ever reaching ketosis. Actually, there is a wide range of different diets that fall under the low carb umbrella, including ketogenic diets, the ﻿Paleo d﻿iet, the Atkins diet and diets that simply use fat as the primary energy source rather than carbs. With a ketosis diet, you are aiming to reduce your carb intake low enough that you can reach ketosis. For most people, this means you need to be eating less than 50 grams of carbs per day, although in some cases you might need to eat even less than that. Achieving this involves paying careful attention to everything you eat and the carbs that your food contains. Focusing on whole foods rather than processed foods is a good way to approach this because you have much more control with whole foods. As I mentioned earlier, your key aim is to be eating less than 50 grams of carbs per day. That is a very low amount of carbs, so it might take you a while to figure out how to achieve this effectively. Thankfully, there are plenty of resources out there, along with meal plans and guides that show you every step of the way. You don’t have to count calories on a ketosis diet. However, you should still be aware of how much you are consuming. After all, a ketosis diet won’t help you lose weight if you’re eating an excessive amount of calories. When following a ketosis diet, one of the key approaches is to focus on foods that contain monosaturated and saturated fats, rather than the more heavily processed fats, like hydrogenated fats. Some ketogenic fats that are often recommended include avocado, eggs, butter (or ghee), coconut oil and olive oil, with MCT oil being another option. It is also important to be careful about your consumption of anything that is seed or nut based, as many of these are high in omega-6 fatty acid. Modern eating patterns already result in a high ratio of omega-6 to omega-3 and this has the potential for negative health outcomes (19). This makes it important to focus on consuming omega-3 whenever possible, and minimizing the consumption of omega-6. Other types of foods that are commonly consumed in a ketosis diet include fish, red meat, poultry, bacon and pork. When it comes to eating meat, grass fed varieties are almost always better than corn fed, because the fat ratios between the types of meat are different. For a ketogenic diet, it is very important to be careful about the vegetables that are selected. People assume that any vegetable is an important part of a healthy diet, but there are many vegetables that are high in sugar, which can undermine any ketogenic diet. For a ketogenic diet, you want to focus on vegetables that are high in nutrients that also have low amounts of carbohydrates. A good general rule is to focus on vegetables that are dark and leafy, such as kale or spinach. One of the most common questions that people have about a nutritional ketosis diet is: how do you stick to it? Diets can be challenging at the best of times, and a ketosis diet is often more difficult because you end up craving specific types of foods that you aren’t meant to be eating. The first thing to remember is that the first week of the diet is the most difficult. During this time, your body is trying to understand what is going on and it is sending out all types of different signals. After this first week or so, the diet will definitely get easier and you will start to enjoy it more. One tip to get past this first week and to stay on track with the diet, in general, is to focus on fiber and fat within the diet. Both of these food types help to satisfy your appetite and this can make you feel better all around. You can also check out these tips for getting past the keto flu, which occurs in that initial phase of a nutritional ketosis diet. I know that eating lots of fat seems very counterintuitive, especially as we have been told for decades that too much fat will increase the risk of heart disease. Actually, this isn’t true, and the belief that high carbohydrates and low fat is better for health is largely the result of bad science. More recent research indicates that fat doesn’t increase how likely a person is to get heart disease (20,21). In fact, even following a low-fat diet doesn’t lower the risk of heart disease (22). More than any other diet, a ketosis diet focuses on what types of food you eat, so as long as you choose food that fits within the diet type, such as high protein salads (chicken and tuna) and foods that involve flax seeds, you are off to a good start. A second method is choosing foods that taste good. Even when you are on a diet, there are a large number of meals that you can make that are really tasty. The thing about good tasting food is that it makes you feel better and it can feel like you are giving yourself a treat even when the food you are eating is actually healthy. Too often people stick to needs only when it comes to dieting, and this is a sure-fire way to fail at the diet. For ketosis, there are plenty of amazing recipes and many sites that focus on them, such as the KetoDiet Blog. If being on a diet is little more than torture, then it is no wonder people struggle so much with it. Realistically, you have to make a diet somewhat enjoyable if you want to be able to follow it long-term. As a diet type, keto is unusual. The diet affects the processes within your body in a way that most other diets don’t. Because of this, a ketosis diet is associated with some significant side effects. Many of these can be reduced or only last for a little while. However, you do need to be aware of these side effects and their implications. Additionally, a low carb diet itself is also associated with some side effects, including fatigue, dizziness, frequent urination, headaches, low blood sugar and cravings for sugar. Thankfully, most of these are short-term and they pass once your body is used to relying on fat for fuel. Even so, it may be worth considering a a basic low carb diet first before trying a ketosis diet. This approach would help you to become accustomed to how a low carb diet feels before you try a nutritional ketosis diet. Other symptoms that you may experience with a low carb diet and particularly with ketosis include hunger, excessive thirst, shakiness and chills. These outcomes make sense because the body is adjusting away from one source of energy and towards a completely different energy source. That type of transition isn’t exactly simple. At the same time, you’re changing the composition of compounds in your blood, including sugar and potentially cholesterol. It’s no surprise that this approach can have some effects on how you feel as well. Thankfully, most effects of ketosis are temporary and they will go away as your body adjusts to the new energy source. There are also some approaches that you can take to reduce the significance of the side effects. However, it is important to note that we still don’t know that much about the long-term effects of very low carb or ketosis diets. Most research studies on the topic have lasted less than a year (23) and it is unusual for studies on dietary interventions to last longer than this. Long-term studies haven’t been conducted on many different diet approaches. Simply put, researching nutrition is difficult, much more so than you might expect. Nevertheless, one study did follow obese patients for 24 weeks and observed beneficial effects of the diet (24). So, there is some indication that the diet is safe for extended use. There are also many bloggers who have followed ketosis effectively for years and have seen positive health outcomes. Those benefits may not apply to the entire population but they offer an indication that the idea has long-term potential. You may have heard that ketosis is dangerous and even life-threatening. This largely comes from the fact that there are two different types of ketosis: nutritional ketosis and diabetic ketosis (also called ketoacidosis). Diabetic ketosis really is dangerous. This happens with a diabetic doesn’t get enough insulin and it is a form of starvation. Many of the effects of diabetic ketosis are similar to nutritional ketosis. However, diabetic ketosis happens in people that can’t produce insulin. That lack of insulin stops a feedback loop from occurring. In turn, this means that the body never gets a signal to stop ketone production. This can contribute to a pH imbalance and make a person extremely sick. But, that effect is limited to people who cannot produce insulin. Nutritional ketosis involves different processes and compounds and certainly isn’t dangerous like diabetic ketosis is. In general, you should be talking to your doctor about any diet or lifestyle change, especially if you have a significant medical condition. This is even more important in the case of ketosis because ketosis does have quite a strong effect on the body. So, do talk to your doctor about the diet. Additionally, you should not even consider a nutritional ketogenic diet if you have an insulin-dependent form of diabetes. That includes type 1 diabetes and also some people with late-stage type 2 diabetes. Should You Follow a Nutritional Ketogenic Diet? At the end of the day, personal priorities play a large role in which diet you should follow. It’s easy to say that this diet is best or that diet is best, but in reality, the best diet for one person mightn’t even be effective for someone else. For example, this comment was posted on an article about low carb diets from the site Low Carb Dietitian. This is a really important point. A nutritional ketogenic diet might be perfect for you, or you might be a person who needs a certain amount of carbs to feel good. The simple truth is that some people feel horrible on a keto diet, even when they're following it precisely. Others feel amazing. There is nothing wrong with either outcome. At the end of the day, an effective diet is one that works for you, makes you feel good and is one that you can follow for as long as you need to. If any diet is torture for you and makes you feel horrible, then it probably won’t be effective in the long-term. There is no such thing as a perfect diet. We’re all trying to find ways to improve our health and many of us also want to lose weight. There are many different diets that will get you to that point. Blogs and authors often try to pit one diet against the other but the simple answer is that your perfect diet is the one that suits you. So, should you follow a nutritional ketogenic diet? Well, the diet is worth considering. 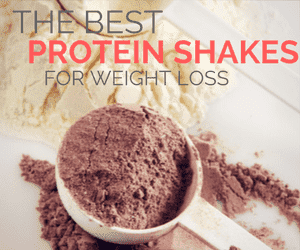 It has certainly been associated with a range of health benefits and can be quite powerful for weight loss. It may be particularly relevant for people who keep hitting a wall when it comes to weight loss. But, at the same time, it is possible to lose weight effectively without going into ketosis and many people do. By all means, try a ketogenic diet out and go with it if this diet type works for you, but the world hasn’t ended if you find that the diet doesn’t help you at all. Where do you stand on the debate about ketogenic diets? Do you think they have potential?